Peter Young took this photo on September 23rd 1974. A 1959 map shows The Windmill at the junction of Mercury Road with Orchard Road, but 1893, 1912 and 1935 maps show The Windmill a few yards east at the junction of Orchard Road and Windmill Road. I presume it moved between 1935 and 1959. In the background is the Turriff Building dating from 1960. 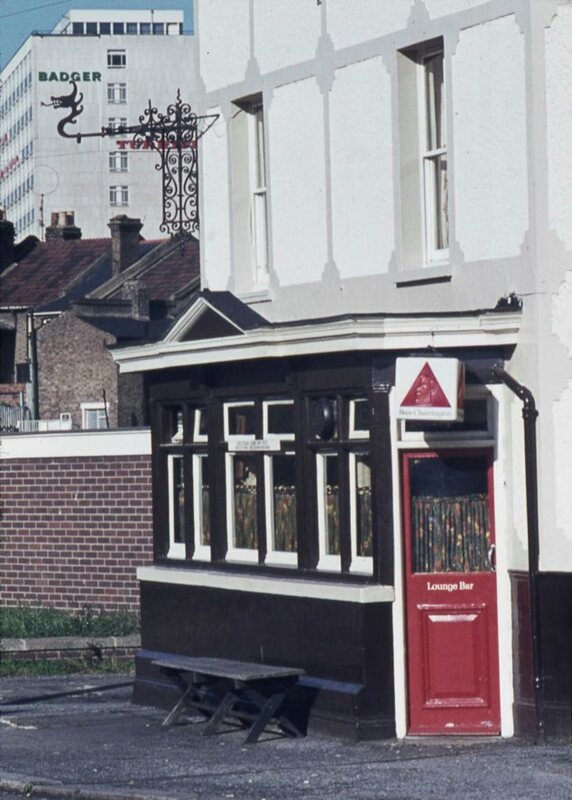 Brentford and Chiswick Pubs by Gillian Clegg includes a wider view, possibly from the 1950s, and notes it was operating by 1853 and closed in 1999, demolished to build flats; these were still unbuilt in 2005. A check on Streetview shows in December 2016 the site has a car park at the Windmill / Orchard Road junction with four-storey flats around it.